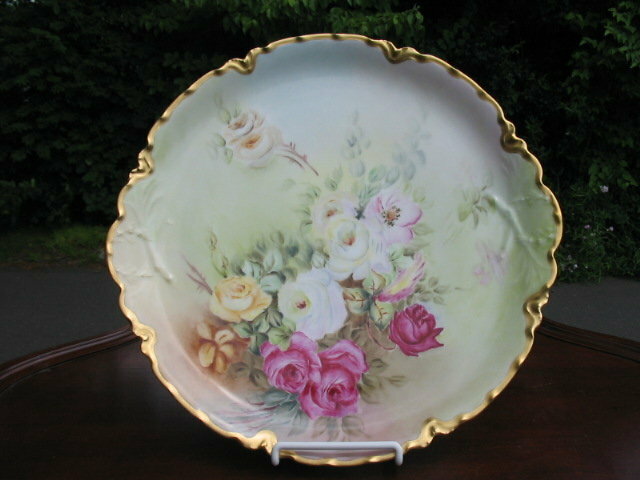 HERE IS A GORGEOUS HAND PAINTED ARTIST INITIALED HAVILAND LIMOGES CHARGER DATED 1908 IN EXCELLENT CONDITION. 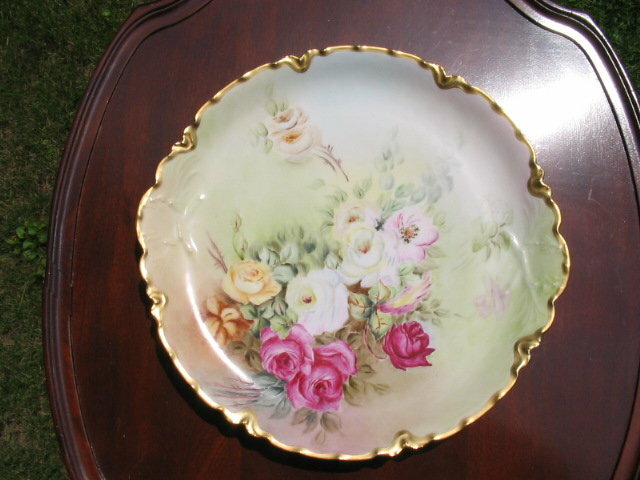 IT FEATURES BEAUTIFULLY PAINTED ROSES IN CRANBERRY RED, WHITE, PINK AND YELLOW. THE ROSES ARE SURROUNDED BY LEAFY CLUSTERS SET AGAINST A CREAMY MULTI-HUED BACKGROUND OF LIGHT GREEN, ROSE AND BEIGE. THE ARTWORK IS GREAT INLCLUDING THE GOLD GILDING WHICH HAS NO LOSS. NO CHIPS, CRACKS, HAIRLINES OR REPAIRS. 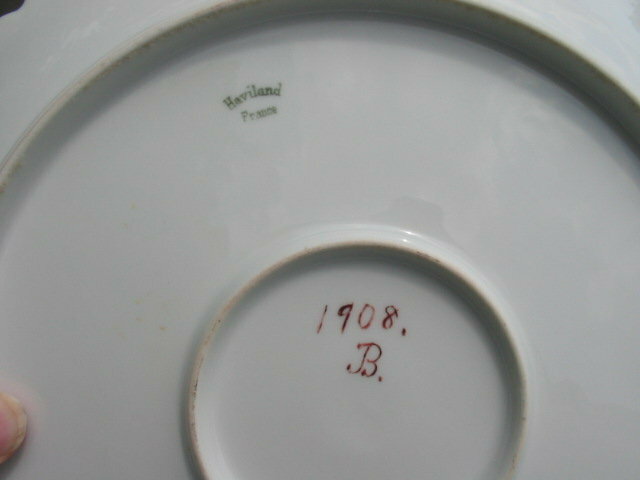 HAVILAND MARK 12 IN GREEN UNDERGLAZE. 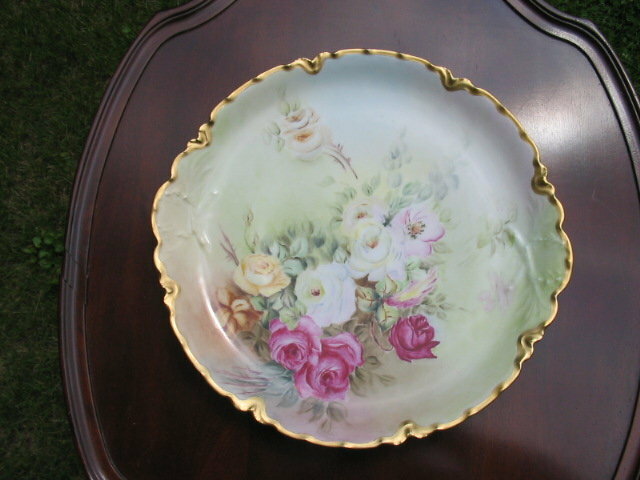 Items Similar To "13" H. P. HAVILAND LIMOGES CHARGER"